New Syllabus for B.A.LL.B. / LL.B. A comprehensive Indian Legal Database covering Supreme Court and other High Courts, tribunal’s judgments including acts, rules, commission and committee repots etc. is a part of the library online collection. The SCC OnLine® Web Edition has an extensive database of Indian law, statute law and other material, with a high performance search engine. The N-LIST project provides access to e-resources to students, researchers and faculty from colleges and other beneficiary institutions through server(s) installed at the INFLIBNET Centre. The authorized users from colleges can now access e-resources and download articles required by them directly from the publisher's website. To access the database users can request for user id and password from Librarian. DELNET offers more than two crore records of books, periodicals, articles, theses and dissertations, video-recordings and other databases. User can search these databases through the allotted login and password, which is available in the library. 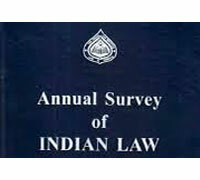 Digitized version of Annual Survey of Indian Law (1965 – 2008): It is one of the prestigious publications of the Institute brought out every year as a collaborative effort of the leading academics in the country. The developments that take place in major areas of laws such as Constitutional law, Administrative Law, Criminal Procedure etc. etc. are captured and adequately analysed in this work. JILI Online (1958 – 2009): Digitized version of Journal of Indian Law Institute since its inception covering legal articles. The Law – Super: is an electronic database of Indian Laws on CD-ROM. The Laws includes Acts along with its Rules, Regulations, Orders, Forms, Schemes, etc. 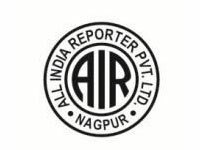 and also covering Judgments delivered by Hon’ble various Courts of India including Supreme Court of India, All India High Courts.